Miller v Secretary of State for Exiting the European Union has stimulated quite a bit of debate. Some criticism of the decision has been well-informed and thoughtful, whilst some of it has been, to put it charitably, less worthy of engagement. In this post we respond to what we view as the strongest arguments against Miller, taking account of the Government’s written case for appeal. We discussed the reasoning used in the case in an earlier post written with Tom Hickman, and will not repeat that explanation here. This post assumes knowledge of that earlier piece, which was written with the lay reader in mind. The present piece, more legally detailed, is necessitated by the quite subtle replies to the argument in that original post and to the judgment in Miller. In Miller the Divisional Court held that the executive could not use the prerogative to give notification under Article 50 of the Treaty on European Union because doing so would run contrary to statute. We reply to two broad arguments against the decision: first, that the purpose of the European Communities Act 1972 (the ‘ECA 1972’) (read in conjunction with the European Union (Amendment) Act 2008 (the ‘EU (Amendment) Act 2008’)) is not to secure membership of the EU; second, that any ‘rights’ at stake were EU law rights rather than domestic statutory rights, and so do not affect the operation of the prerogative. Neither of these arguments survives close scrutiny. Miller remains in our view an outstanding judgment forged in remarkable circumstances. A number of the arguments presented in this blog were formulated in conversation with Gavin Phillipson: our post complements and is complemented by much of what he writes in a companion post on this blog. His post makes clear which aspects of our argument that he agrees with. Though not noticed by the Court in Miller, it is helpful to recognize a distinction between the frustration argument and the rights argument as independent grounds upon which the scope of prerogative powers could be restricted. The former is the claim that the object and purpose of the act sets limits upon the permissible scope of executive action. The latter argument claims that the existence of statutory or, perhaps, common law rights sets limits upon the permissible scope of executive action. The latter argument depends on the finding that rights are in play; the former depends on the object and purpose of a particular statute, whatever it may be. Admittedly these arguments run together where the object of a particular Act is to provide for rights, and this situation is what the Divisional Court found to obtain in Miller. But the two are separable when the object of the Act is to secure something other than rights. The frustration argument, perhaps most strongly articulated in the Fire Brigades Union Case, provides an independent ground for decision where the rights argument is found to be inappropriate. While both the frustration argument and the rights argument support the decision in Miller, our aim in this section is to defend the former. In a significant contribution, Elliott and Hooper argue that the Divisional Court in Miller wrongly took the point of the ECA 1972 as being to establish our membership of the European Community. Against this, they argue that the ECA 1972 should be understood as a conduit for giving effect to such EU law as may be applicable ‘from time to time’ as provided in section 2(1) of the Act. On this view, the ECA 1972 is indifferent to EU membership. It merely provides a legal mechanism for giving effect to such obligations if and only if they are present pursuant to the Crown’s exercise of the treaty-making power. In its written case, the Government makes extensive use of this argument, suggesting the ECA 1972 is ‘ambulatory’, and is a ‘conduit for international law rights’ , ff. In our contention, the ECA 1972 is plainly not indifferent to whether the UK is a member of the EU. The long title of the Act clarifies that it is to ‘make provision for the enlargement’ of the EU ‘to include the United Kingdom…’ The purpose of an Act of Parliament is also to be determined by examining the broader scheme of the Act. The scheme of the ECA 1972 evinces commitment to that membership insofar as most of its provisions, like section 2, would cease to have any effect upon withdrawal. Section 3, for example, recognises a right to have disputed legal questions resolved by the CJEU; section 5 provides a regime for applying customs duties bespoke for EU membership; section 6 for participation in of the common agricultural policy; section 11 the establishment of new, criminal offences relating to perjury and confidential information; and section 12 the furnishing of information to EU bodies. All of these provisions would be rendered without legal effect by exercise of Article 50; the conduit theory would require us to ignore these provisions. The Divisional Court [para. 99] was correct in Miller to summarise the principle of the Fire Brigades Union case as being that ‘Parliament cannot be taken to have legislated in vain’. We would argue that commentators have exaggerated the significance of the Divisional Court’s use of ‘constitutional principles’, ‘constitutional background’ and the reference to the idea of ‘constitutional statutes.’ While to omit any reference to such background principles would have been a mistake of law, we take it as constitutional orthodoxy that any ordinary statute – and in particular the European Parliamentary Elections Act 2002 (see further below) – would have blocked and does block the exercise of the prerogative in precisely the same manner. Put simply, whilst the constitutional background is relevant and important, it is not a determinative consideration in itself; a defence of Miller does not require us to accord a special legal status to the ECA (though, of course, that is not the same as arguing that the ECA should not enjoy a special legal status). The ECA 1972 should be read in a generous and purposive rather than narrow or unduly literal way. In IRC v McGuckian  1 WLR 991 (HL), the Law Lords explained that ‘[d]uring the last 30 years there has been a shift away from the literalist approach to purposive methods of construction.’ In R (Quintavalle) v Secretary of State for Health  UKHL 13, Lord Bingham explained that an unduly literal approach ‘may… (under the banner of loyalty to the will of Parliament) lead to the frustration of that will, because undue concentration on the minutiae of the enactment may lead the court to neglect the purpose which Parliament intended to achieve when it enacted the statute.’ Such general interpretive principles have been applied to statutes having special constitutional significance. In Robinson v Secretary of State for Northern Ireland  UKHL 32, Lord Bingham found at  that the Northern Ireland Act 1998 ‘should…be interpreted generously and purposively, bearing in mind the values which the constitutional provisions are intended to embody.’ Lord Hoffmann found to similar effect that ‘[a]ccording to established principles of interpretation, the Act must be construed against the background of the political situation in Northern Ireland and the principles laid down by the Belfast Agreement for a new start.’  In the Axa General Insurance Ltd. v Lord Advocate  UKSC 46 case, the Supreme Court recognized the historical constitutional significance of the Scotland Act 1998 as a reason for granting the Scottish Parliament a wider immunity from common law judicial review than other law-making bodies that are legally subordinate to the Westminster Parliament: see esp. ‘The carefully chosen language in which these provisions are expressed is not as important as the general message that the words convey. The Scottish Parliament takes its place under our constitutional arrangements as a self-standing democratically elected legislature. Its democratic mandate to make laws for the people of Scotland is beyond question. Acts that the Scottish Parliament enacts which are within its legislative competence enjoy, in that respect, the highest legal authority.’ The lesson of these cases is that the identification of the purpose of a statute should take account of the broader historical and constitutional context in which it was enacted. In this sense, the court in Miller was right to identify the ECA 1972 as a statute of constitutional moment, one that was not indifferent to our membership of the European Union. But in so doing, the Court applied the same principles of statutory interpretation that it would have applied to any other statute: in this respect, there was nothing special in the way this ‘constitutional statute’ was read. (iii) Did the EU Referendum Act 2015 change the ECA 1972? 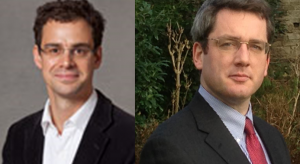 Elliott and Hooper suggest that the weight given to constitutional considerations by the House of Lords in Robinson v Secretary of State for Northern Ireland  UKHL 32 is at odds with the approach in Miller. The Government also cites Robinson for the principle that a constitutional statute ‘must be construed in the light of present constitutional circumstances’:  [emphasis added] and that [62(c)] ‘notice does not sit in constitutional isolation.’ Both these interpretations seek to leverage a role for the European Union Referendum Act 2015 in interpreting the ECA 1972. But Robinson stands for no such general proposition. The background in the Robinson case was crucial to understanding the effect of the Northern Ireland Act 1998 at the time it was adopted by Parliament: see the speeches of Lord Bingham , ; Lord Hoffmann , . The meaning of the statute does not change with the flux of Northern Ireland’s politics. But is there another theory upon which the 2015 Act might modify the meaning of the 1972 Act? Perhaps we should read the 1972 Act and the 2015 Act side by side, with the 2015 Act standing as the 2015 Parliament’s preferred interpretation of the 1972 statute? The Government equivocates on this point, denying interpretive significance to the 2015 Act , , but then suggesting it is part of the ‘circumstances’ . But if this argument were run, would it then allow the Government recourse to the prerogative? Perhaps even if it was displaced by the 1972 Act alone, it is not displaced by the combination of the 2015 and 1972 statutes. There are, though, a number of problems with this brave argument. First, for reasons covered in Miller, the Government made clear the referendum did not bind Parliament. Secondly, such an interpretation does not explain the contrast with similar acts of Parliament such as the Parliamentary Voting System and Constituencies Act 2011 (section 8 of which directed the Government to implement the system of alternative voting in the event it was chosen in the AV referendum), the similar provisions found in the Northern Ireland Act 1998, and the European Union Act 2011 (which requires both an Act of Parliament and the satisfaction of the referendum conditions before certain powers may be devolved by the executive to the EU). Against such a background it is untenable to claim that provisions for the 2015 referendum can be read to change the meaning of the ECA 1972 in such a fundamental way. (iv) Did the 2008 amendment of the ECA 1972 change its purpose? Elsewhere in its argument, the Government emphasises correctly that the ECA 1972 must be interpreted with later statutes that affected a textual amendment of that Act, and hence are ‘in pari materia’ (dealing with the same subject matter). From this proposition it is argued (1) the EU (Amendment) Act 2008 Act that added the Treaty of Lisbon to the list of treaties in the ECA 1972 is such an amending Act; and (2) that the inclusion of Article 50 in the Treaty of Lisbon modifies or conditions the purpose of the ECA 1972 by recognising a right to withdraw. On this view, Parliament has through the 2008 Act accepted a version of membership as contingent rather than committed. While we believe this is one of the more ingenious arguments against Miller, it suffers from two fatal flaws. First, the Treaty of Lisbon makes clear in its preamble that it is concerned overwhelmingly with Members States achieving ‘a new stage in the process of European integration’ and to ‘achieve the strengthening and the convergence of their economies’ and to ‘establish a citizenship common to nationals of their countries’ and above all to ‘continue the process of creating an ever closer union among the peoples of Europe.’ The essence of the Treaty of Lisbon is thus to deepen integration, and any enhanced roles for legislatures within the Treaty of Lisbon and related provisions of the 2008 Act, and an Article 50 procedure for withdrawal, must be read in light of that overarching purpose. The purpose of the 2008 Act was the same as the purpose of the 1972 Act: the maintenance and indeed strengthening of our on-going relationship with the European Union. Secondly, Article 50 prescribes how EU institutions should respond to a Member State’s decision to withdraw, but does not seek to determine the domestic process by which this decision is made. Article 50 refers to Member State’s ‘own constitutional requirements’ – it does not purport to grant a new power to the executive. To interpret the 2008 Act as modifying the purpose of the 1972 Act to permit the executive to trigger Article 50 would be to accord Article 50 (and, by derivation, the 2008 Act) a legal effect it very clearly was not intended to bring about. (v) Could the ECA 1972 not become a dead letter after Brexit? Elliott has previously expressed the view that the ECA 1972 would not necessarily become a dead letter, because Parliament may decide to continue to use it as a post-Brexit piece of legislation to give effect to whatever EU rights and obligations we might retain. But would this be enough to answer the claim that the exercise of Article 50 runs against the statute? First, and most superficially, the Government has already made clear its plan to repeal the ECA 1972 and replace it with a Great Repeal Act. Secondly, even if it were to keep the 1972 Act, it would require many amendments to the various sections identified in the analysis above. It is not enough to say that some of the provisions of that statute would be left intact after its exercise. A related idea that does not minimize the significance of the subsequent legislative action is the idea of ‘sequencing’ that the Government sought to argue in the Miller litigation. The claim is that statutes would be brought in to give effect to changes in legislation after notice had been given, and hence any legislative rights would only be, in reality, affected by subsequent legislative change. But this argument was rightly rejected in Miller. It is pure conjecture: we cannot know what new rights will be created after Brexit. 2. Rights as Statutory or EU Rights? A further version of this argument against Miller, found in the posts of Mark Elliott and Hayley Hooper, David Feldman, and John Finnis, approaches the issue from the other angle. They argue that the rights at the core of Miller are not statutory rights, but rather European rights, brought into the legal system through a statute. Nothing in such a model, they argue, prevents variation or removal of such internationally created rights by means of the prerogative. This is buttressed by an analogy with arrangements for double taxation under the Taxation (International and Other Provisions) Act 2010 (the ‘TIOPA’). On this argument, there is, then, no conflict between the exercise of the prerogative and the 1972 Act itself, and the European rights brought in by the 1972 Act can be removed through use of the prerogative. We begin by addressing Finnis’s claim that any so-called ‘rights’ under the ECA 1972 are analogous to those found under double-taxation treaties. Though this argument was initially embraced by a number of scholars, it has now been subject to profound and far-reaching critique: see the posts by Kieron Beal, Sionaidh Douglas-Scott, and Ewan Smith). The analogy is mistaken on at least three basic levels. First, Finnis assumes that the arrangements giving domestic tax relief depend on the on-going force of the international treaties. In fact, the actual Orders in Council that give effect to those arrangements under the TIOPA put the relevant treaty provisions into a schedule to the Order in Council. The tax arrangements thus take domestic legal effect by way of autonomous UK legal instrument. Consequently, as Ewan Smith and Kieron Beal, have argued, treaty withdrawal would, in itself, change nothing. And in practice, actual changes to the treaty are carefully coordinated with changes to the Orders in Council such that the two are harmonious. Second, the ECA creates rights, while the TIOPA creates a Crown power. Section 2(2) of the ECA 1972 gives direct effect to treaties ‘without further enactment’. Section 2 of the TIOPA, by contrast, gives the Crown a power to make arrangements effective if two further conditions are met, one of which is the judgment that it would be ‘expedient’ to do so. With respect, Elliott and Hooper are along with Finnis thus wrong to say that ‘[t]he UK legislation creates domestically enforceable rights to tax deductions….’. Third, directly effective treaty rights and Orders in Council have profoundly different constitutional status. The former, subject to narrow exceptions, prevail even over Acts of the United Kingdom Parliament enacted after 1972. The latter are not only susceptible to repeal by Order in Council (again, an executive act), but can be declared ultra vires and of no effect if they infringe common law rights, or violate provisions of the Human Rights Act 1998. For these three reasons, the comparison between the TIOPA and the European Communities Act is inapposite. The Government also invokes the example of the National Health Service (Charges to Overseas Visitors) (Amendment) Regulations 2015 (SI 2015/2025). The regulations provide exemptions from the scheme for imposing charges for NHS services on overseas visitors. Legislative authority for imposing charges largely flows from section 175(1) of the National Health Service Act 2006, which empowers the Minister to adopt regulations setting out a comprehensive regime. It has done so in the National Health Service (Charges to Overseas Visitors) Regulations 2015 (SI 2015/238). However, in Reg 14 the regime provides for exemptions for citizens of countries with which there are reciprocal agreements, and these are listed in Schedule 2 to the regulations. The Government contends that the privilege of exemption from the scheme of charges can be withdrawn by international agreement alone, and the Amendment Regulations mentioned above a mere ‘tidying-up’ of the list of countries in Schedule 2; it is thus an example of diminishing rights enjoyed domestically by use of the treaty-making power. But this claim fails fairly quickly. It is true that it is relatively easy for the executive to alter Schedule 2, but it is not shown and certainly not at all clear (and is an untested point) that exemptions will be lost by rescinding the international agreement if Schedule 2 is not amended. Furthermore, the nature of the regulations and how they interact with the statutory scheme is crucial. Section 175(1) of the 2006 Act provides clear authority for the imposition of charges. By contrast, the exemptions system is provided by regulations, and these are phrased in a manner that is not only self-evidently variable, but which is also in harmony with the scheme of the 2006 Act. There is therefore no relevant similarity with the nature of the rights secured under section 2(1) of the ECA 1972. Indeed, an appropriate counter-example would be the removal of directly incorporated rights by exercise of the prerogative. None was given, and the silence is deafening. Of the broader argument that the ECA 1972 merely gives effect to EU rights, rather than creates statutory rights, is to us a distinction without a difference – it is a potential line of criticism that we, along with Tom Hickman, addressed in our original blog post. It is uncontroversial that the EU rights take direct domestic legal effect ‘without further enactment’ by virtue of their foundation in an Act of Parliament, the ECA 1972. The contrary argument does not give credence to the important distinction between the substantive provisions of EU law and how they take legal effect in the UK order, as made clear by Lord Justice Laws in the Thoburn case at : ‘[W]hat is the legal foundation within which those substantive provisions enjoy their primacy, and by which the relation between the law and institutions of the EU law and the British state ultimately rests? The foundation is English law.’ (To similar effect, see section 18 European Union Act 2011). The argument that since section 2(1) makes such rights effective ‘from time to time’ is one of the stronger points against their recognition as necessarily subsisting rights, even though it does not touch the frustration argument for reasons canvassed above. The idea, as we understand it, is that because the content of the rights can be changed by international action, they are not in truth domestic statutory rights. Yet while it is true that the rights are contingent upon the existence of the international obligation – and agreement at the international level – the question is whether the executive may act to remove such rights. The fact that the rights can be varied at the international level with the participation of the executive is not authority for that proposition. This issue falls to be determined by reference to the general scheme of rights provided in the ECA 1972. For example, the procedures for altering, adding or removing EU rights through EU procedures are highly circumscribed by treaty provisions. It is clear that the UK executive’s approval of, for instance, EU regulations that have direct effect in the UK, is consistent with and arguably legally provided for under section 2(1) of the ECA 1972. In other words, the variation of rights ‘from time to time’ is contemplated within the framework of on-going membership and the extensive treaty provisions governing how such rights are varied. In short, the object and purpose of the ECA 1972 makes it clear that variation of the rights and duties was intended to be within a framework of membership. Going back to our discussion of the purpose of the ECA 1972 in the previous section, section 2(1) allows for the variation of EU rights over time, but it does not allow for their complete removal. A person is entitled to vote as an elector at an election to the European Parliament in an electoral region if he is within any of subsections (2) to (5). We don’t need to worry about subsections (2) to (5), what is important for our purposes is that the statute confers, clearly and directly, a right to vote in European Parliament elections. In the Government’s argument it is noted that the 2002 Act does not contain any express limitation on the prerogative – so suggesting it leaves the prerogative untouched – but this is a claim that asserts what it purports to prove. Going back to our discussion of the frustration argument and the rights argument at the start of this post, if the Government triggers Article 50, this right is lost – and a clearer example of a statutory right is hard to conceive. The whole point of the long line of cases, from The Case of Proclamations onwards, is that Parliament does not need to specify that the prerogative cannot be used to unsettle a statutory right: this is determined by the common law rules that regulate the relationship between these two modes of legal power. One might impute a non-literal meaning to the 2002 Act in the way commentators have sought. But this embraces the very approach to interpretation that they reject in respect of the ECA 1972 and the broader case-law on the prerogative powers. It is, perhaps, worth emphasising that even if all of the critics’ arguments over the implications of the 1972 Act are accepted, the 2002 Act is quite sufficient, in itself, to prevent the executive triggering Article 50. Whilst the decision Miller has generated some thoughtful, and occasionally ingenious, legal argument against the decision, a blunter argument has also sometimes been floated: that this is all political, that the judges should just leave well alone. Perhaps the sovereignty of the people should not be obstructed by the niceties of constitutional law. Is Miller an example of unacceptable judicial activism, with over-mighty judges exceeding their role? The oddity about this argument is that is it an inversion of the normal form that the challenge takes. Ordinarily, critics of activist judges are seeking to uphold Parliament’s position in the constitutional order, arguing that judges are entering into an arena that ought to be left to the legislature. The challenge is most often heard in the context of the Human Rights Act 1998. The Human Rights Act, it is claimed, has shifted difficult questions about the implications of rights and the public interest from legislators to judges – but the institutional constraints of the court limit the ability of the judges to fully engage with the issues these raise. The judges, it is said by critics, lack the legitimacy to decide questions of value, they lack the capacity to process information about the broader issues of public policy involved, and their decisions are less likely to draw the community together behind the eventual outcome. Whatever the merits of this argument in the human rights context, the argument from judicial activism pushes in the opposite direction in Miller. Far from taking a question away from Parliament, the decision in Miller defends Parliament. In a recent blog post Timothy Endicott argues the constitution rightly allocates decisions over foreign policy to the executive. During the process of Brexit, there will be value in involving Parliament in later stages, but, says Endicott, there is little or nothing to gain in involving the legislature in the decision to trigger Article 50. Here, the value of entrusting the decision to the executive – the advantage of secrecy and speedy decision – militates against involving Parliament. But, as one of us, Jeff King, has shown, there are a host of ways in which Parliament might wish to structure the process of initiating Article 50 and its participation in the subsequent negotiations. Without challenging the outcome of the Brexit referendum, Parliament may well wish to engage with these issues. Here, then, the argument against judicial activism cuts the other way. A conservative (with a small ‘c’) judge, one who values the position of Parliament in the constitution should be an enthusiastic supporter of Miller. At its base, the Divisional Court defended the two most fundamental principles in our constitutional order: the supremacy of Parliament and the rule of law. The authors would like to thank Kieron Beal, Sionaidh Douglas-Scott, and especially Gavin Phillipson for helpful feedback. Jeff King is a Professor of Law at the Faculty of Laws, University College London. Nick Barber is an Associate Professor of Law at the Faculty of Law, University of Oxford. Having to rely upon the “long title” and the “overall scheme” reveals the weakness of this defence. The law is found in the wording of the relevant sections. Nowhere else. Section 2 of the ECA incorporates EU law as it applies to the UK “from time t time”. If EU law by its terms says the law applicable to the UK is nothing, s 2 of the ECA gives effect to that. Once art 50 is invoked and 2 years pass, that is the position. The ECA is not being overturned or frustrated or anything of that kind. It is operating according to its terms. All of the critics of the Miller decision accept the above, and adopt it as their central argument (because it is correct). Trying to split them into groups (as above) misleads as it indicates an array of subtle argument against it (and you). There isn’t, there is just one. As for the 2002 Act, it entitles us to elect such MEPs as required. The idea that its correct construction is that we are entitled to elect MEPs even where we are entitled to none under EU law is not an attractive interpretation. All that said, the authors deserve credit. Their argument succeeded before the High Court, when it never should have done, and that is academic impact of the strongest form lawyers can achieve..
in the extreme case of withdrawal of all other EU members form the treaties our “rights” granted by act of parliament are completely extinguished. Anything remaining is indeed a statutory right and can therefore be preserved as part of the repeal bill. I haven’t seen a refutation of this point. I find it hard to think the likes of Jonathan Sumption will not take this line – there is no other logical conclusion. The long title of an Act is highly appropriate to one of the central questions of statutory construction in Miller. One of the central questions on construction is whether the scope of the various Acts in the legislative scheme does or does not extend to withdrawal. The scope of the Acts may differ for the two decisions being challenged: the future decision to notify and the decision to withdraw. The power/duty may also be sourced in different Acts or in the prerogative for these two distinct decisions. Professor Feldman correctly identifies a purpose of a Bill’s long title but then fails to draw the correct conclusion: the long titles of the Acts in Miller are highly material to the central question of whether the scope of the Acts does or does not extend to withdrawal. The long title is not part of the law. Is the long title enough to give the words in the sections a different meaning from that they plainly have? Alternatively, are they ambiguous? The European Parliamentary Elections Act 2002 is a statutory gloss of rights subsisting under the Treaty on the Functioning of the European Union – Articles 21 through 25 – international law, not domestic law. To argue that Parliament has created a new statutory right by enacting the EPA 2002 (or indeed the ECA 1972) is, of course, a constitutional nonsense; The rights are not Parliament’s to give, create, confer or indeed deprive. This applies all over – absent Article 267 TFEU, no right to a preliminary reference exists, even if Parliament enacts a provision under s3(1) ECA 1972. It is the Crown that creates that right, not Parliament, and no rights can be performed in domestic law absent the Treaty. Moreover your argument: “Second, the ECA creates rights, while the TIOPA creates a Crown power.” is inherently circular. You say that the ECA creates statutory rights and does not import EU rights because the ECA creates rights. What a bare assertion. You state: “Yet while it is true that the rights are contingent upon the existence of the international obligation – and agreement at the international level – the question is whether the executive may act to remove such rights. The fact that the rights can be varied at the international level with the participation of the executive is not authority for that proposition”. Of course this is wrong; Either the statute abrogates the prerogative or it does not. In order to abrogate the prerogative, it must be the case that EU rights are made part of domestic law by the ECA 1972, and, if that is the case then the Crown exercising its prerogative would be altering domestic law. However, its clear that the EU treaties and the rights they confer are not part of domestic law. It is not the treaty but the statute which forms part of English law. Moreover, your argument that the continued existence of treaty rights in domestic law is dependent on the ECA 1972, and that by acting on the international plane to extinguish those rights, they will cease to have effect domestically, is manifest evidence that the EU treaty rights do not subsist in domestic law, and indeed are not created by the ECA 1972. “Of the broader argument that the ECA 1972 merely gives effect to EU rights, rather than creates statutory rights, is to us a distinction without a difference” – well this doesn’t follow from the statute. There is a substantial distinction between creating and conferring a right and giving legal effect to a legal right; One grants something, the other performs and makes operable something that already exists. Just look at Section 2(1) ECA 1972 – “given legal effect, or used, or recognised, or available In law, enforced, allowed and followed” – in each case the words used are past participles, and presuppose that the rights and obligations already exist. Section 3(1) – how do you take judicial notice of something that doesn’t already exist? What you are escaping is the practical effect of the ECA 1972, which is not about incorporating EU law into domestic law (see Factortame – EU law is not imported into domestic law displacing domestic law; national law is disapplied in favour of EU law – they subsist as two distinct legal orders). The practical effect is inherently connected with the concept of cognisance, enforceability, and justiciability of international law in the UK. It is the case that if a treaty has not been given force or effect by Parliament by the enacting of an Act of Parliament (thus an ‘unincorporated’ treaty), then it is not justiciable before domestic law courts – Buttes Gas and Oil Co. v Hammer (No 3)  AC 888. Conversely, the effect of ‘incorporating’ a Treaty by enacting an Act of Parliament is not to confer, create, or deprive rights in domestic law; It is to give cognisance, enforceability and justiciability to treaty obligations that are already extant on the international plane and international law level. Parliament does so by conferring constitutional competence on the courts to determine such matters by virtue of Section 2(1) and 3(2) ECA 1972 – in essence EU law becomes a distinct and separate source of law that the courts can refer to, which operates in the United Kingdom, and which is preferred over domestic law by virtue of the operation of ss. 2(1) and 2(4) ECA 1972. Nothing within the meaning of Section 2(1) precludes such an intention. It would have been mightily easy for Parliament to simply state that EU law is incorporated into domestic law by Section 2(1) ECA 1972. However it doesn’t, and the language used is not there by accident. On the contrary, my post says that Parliament ought to be involved in the decision! Before, during, and after the decision to trigger Article 50. ‘We undoubtedly need Parliamentary scrutiny of the government’s Brexit policy and operations.’ There is much to gain from involving the legislature in the decision to trigger Article 50, and it is involved, in ways that I set out in detail. But there is little or nothing to gain from the legislative process. It would be bizarre to think that the process designed for the passage of bills through Parliament is well adapted for making the decision to trigger Article 50. The predicament of the claimants in Miller is that they had no rationale for asking the Court to require the government to seek approval on a yes-or-no resolution in both Houses in favour of a proposal to trigger Article 50 –a procedure that might make sense, if you think that the government cannot be trusted with its constitutional role. Instead, to give effect to their sense that Parliament ought to make the decision, all the claimants could do was to argue that the ECA 1972 displaced the prerogative. That ‘involves’ Parliament in a particular sort of way, by making legislation necessary. And then, as my post points out, contention over the government’s negotiating strategy and tactics (and over the extent to which they ought to be disclosed) will take the baroque form of debates over proposed amendments to a bill. In commenting in a blog post elsewhere about the furore the judgment had caused, largely through misreporting by the tabloid press, I described the case as simply being about “how” and not “whether” to trigger article 50. By implication, not a matter of concern to voters. I wonder whether the claimants would even have bothered had the government shown more willingness to share with Parliament its approach to negotiations. There would have been an opportunity for debate where Remainers concerns could be aired. If Parliament had had a real concern about the use of the prerogative it had opportunities to make its view known. Instead, Parliament has focused on the substantive issues surrounding strategy and scrutiny. A debate of these issues around the wording of some procedural bill will, as Professor Endicott points out, be rather clumsy, with the temptation to add on clauses in some pork barrel style. And if these cannot be added what will all this sound and fury have signified? Exactly. That said, I think the use of royal prerogative in this instance is, in purist or do mean legal terms, incorrect. So, is a huge amount of energy being consumed on a procedural matter that is substantively of no great import? Parliamentarians seem to think so. Except it does appear to represent an attempt by government to reserve for itself control over the biggest political decision for more than 50 years. By the time a decision emerges from the SC, the government may well have agreed to share more with Parliament. Would that have been achieved without the Miller case? Interesting to note that Scotland now agrees with the grounds of appeal. The written submissions of Lawyers for Britain will present arguments “additional to or different from the arguments put forward by the government which support the conclusion that the appeal should be allowed”. “(2) in section 6, imposed explicit Parliamentary control over the exercise of the prerogative to invoke several powers introduced by the Lisbon Treaty, including Article 48(6) TEU on simplified treaty revision, but not over Article 50 on withdrawal. “Parliament must have been aware of the important new power in Article 50 and decided by contrast that its exercise should not be subject to Parliamentary control. The European Union Act 2011 further elaborated the system of Parliamentary control over prerogative acts and thereby further confirmed Parliament’s intention not to fetter the prerogative in the exercise of Article 50. Would Parliament have ruled an amendment expressly providing for a power of withdrawal out of scope of the 1972 Bill on the basis of the Bill’s long title? Yes. Can the common law draw inferences on the basis of what amendments are or are not allowable by Parliament? Yes: see the ratio of Pepper v Hart. Is the long title relevant to statutory construction of the 1972 Act on enactment? Yes. What do you think of the argument from s 6(1)(a) EU (Amendment) Act 2008, put forward by Eadie (Day 1, p. 145), that without the Parliamentary control introduced there (at s 6(1)(a)), the Crown would have been able to amend Part 3 TFEU, including provisions on free movement, and take away rights? He seems to be saying that with regard to potentially major changes in the Treaties, with potential for a major loss of rights – [eg, for sake of argument, delete ‘persons’ in Article 26(2) TFEU] – Parliament’s purpose was to relax its control over the executive. Is this credible? It also struck me that the way the dualism argument was being approached suggested that government and Parliament could pursue contrary courses unless Parliament put a brake on the executive. If this were the 17th century I might understand it, but today government is the majority in Parliament. There is no proper separation of powers as there is in the USA, for example. At the level of constitutional principle here, the political and the legal must share the same space. The government will not make treaties that Parliament will not ratify nor will the prerogative be used to remove rights that Parliament wishes to keep. Parliament can stand up for itself but the courts have a right to rule on the law. It will be interesting to see if or how the court addresses the proposition that dualism gives the executive power to remove rights by means of treaty without the clearest indication from Parliament that it may do so. The political reality seems clear. We wait to see if the court fleshes out some legal principle that reflects that reality. The established rule that the executive may not remove statutory or common law rights and obligations seems clear but was not formulated to address the developments that were brought about by the EC. Just to address the specious argument that the executive, through participation in EU law making, alters, adds and removed rights, therefore gives it the right unilaterally to remove all EU rights and obligations. Clearly, acting multilaterally to create EU law is pursuant to the intention of Parliament in deciding to join the EU and make its law part of UK law. Is this not in error? The long title reads: ‘to make provision in connection with the enlargement…’, which is a very different thing. This entry was posted on November 22, 2016 by Constitutional Law Group in Europe, European Union, Judicial review, Judiciary, Northern Ireland, UK government, UK Parliament and tagged Article 50 TEU, Axa Insurance, Brexit, Brexit judgment, double taxation treaties, European Communities Act 1972, European Parliamentary Elections Act 2002, European Union (Amendment) Act 2008, European Union Referendum Act 2015, Fire Brigades Union, Miller v Secretary of State for Exiting the European Union, NHS, Northern Ireland Act 1998, Robinson v Secretary of State for Northern Ireland, statutory rights and prerogative.